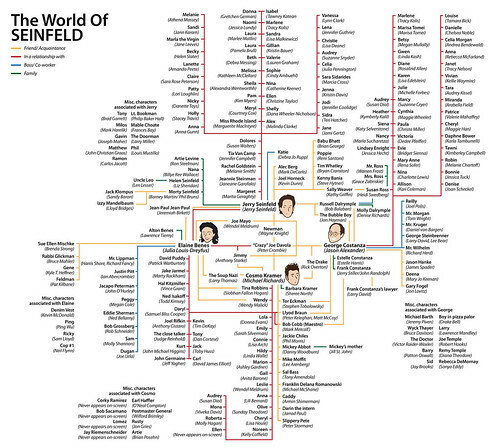 A rare occurrence when two of my favorite topics, data visualization, and Seinfeld (the TV series), combine! Found on FlowingData.com, one of the best visual blogs on the web, and done by Ricky Linn. Direct link to the large original on Flickr.